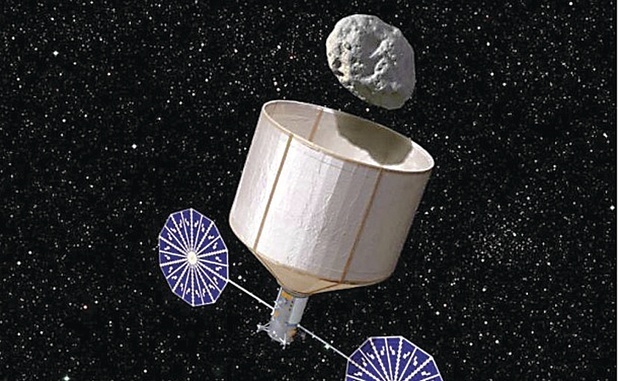 The Keck Institute proposed a robotic asteroid capture mission concept. Will it fly? Historically speaking, the odds are low (Credits: Rick Sternbach/Keck Institute for Space Studies). It only takes a brief “apprenticeship” in the spaceflight industry to learn a hard truth. Most of the projects and ventures that are proposed in spaceflight never leave the ground. Of these, many will never become any more realistic than spiffy computer graphics. Proposals for new missions, private or government, commercial or scientific, crewed or robotic, big or small, appear on an almost weekly basis somewhere. Inevitably, media releases for these proposals are picked up by the aerospace media and printed. Within months, most are forgotten. The media, and their readers, are so used to this cycle that they mostly don’t worry about adding yet another shattered dream to the pile. To be fair, we cannot expect most spaceflight proposals to be built. There isn’t enough money to go around. In general commerce, most new ventures fail. Why should we expect better results in commercial spaceflight, when everything is more complex? This situation won’t improve in the near future. In fact, it’s likely to get worse. Government budgets for spaceflight are being trimmed in the wake of austerity drives. Commercial spaceflight is also suffering from economic problems. The spaceflight community itself has a realistic understanding of the situation. We’ve been going through this for decades. We know how and why it happens. We can accept it and carry on. But the growing links between spaceflight and the wider world carry new risks beyond the mere technical and economic. It’s time for the spaceflight community to realistically consider the broader concept of reputation management. 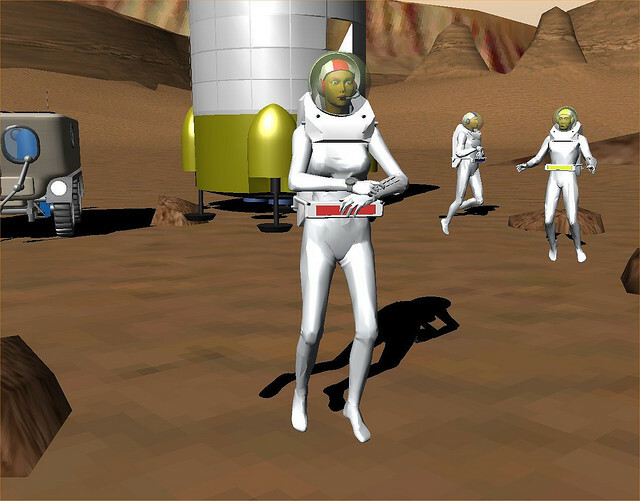 Landing on Mars (Credits: Bruce Irving http://bit.ly/1bwFh9n). Commercial spaceflight proposals are now appearing in the general media regularly. Some of them have very high profiles, thanks to the marketing efforts of their backers. The public are being sold the idea that spaceflight will soon be routine and accessible. This involves more than just space tourism on small suborbital vehicles. We are being teased with the prospects of private space stations, extracting rare elements from asteroids and even setting up mines on the Moon for nuclear fuel. We also have a proposal to set up a privately sponsored human colony on Mars. Sign up now, people! Seasoned voices in the spaceflight community will tell you that some of these promises are built on shaky foundations. In fact, some could be labeled as outright quackery. Yet the public is being sold the message of imminent access to space on a regular basis. While many readers will be disinterested or skeptical, some will take the message at face value. We know what comes next. Most of these ventures will never start in any real sense. Some will fail, leaving a trail of disgruntled supporters and investors. Although most companies and entities in spaceflight have no connection to the more ludicrous proposals, they are at risk of damage when the “wild ones” are turned loose. Reputation management for the spaceflight community as a whole could become a serious issue in the decade ahead. Strategies will need to be put in place to limit any potential damage from highly public failures or fiascoes. Never mind the fact that a well-informed minority knows the full truth. We should be concerned about perceptions by the general public as a whole. The more extreme voices seem to cry the loudest. They are also the most attractive to the general media, who love the excitement of the stories. What about discerning the truth? Hey, we’re discussing the general media! Enough said. The general media will influence the perceptions of the general public. These people spend money. They also vote. If spaceflight gets a generally bad reputation after a heavy dose of celestial snake oil, these are the people who will want to spit out this vile tonic. They will not differentiate too much between “good” and “bad” ventures. It’s all “space.” And perhaps they will tell their governments to get their taxpaying dollars out of it! 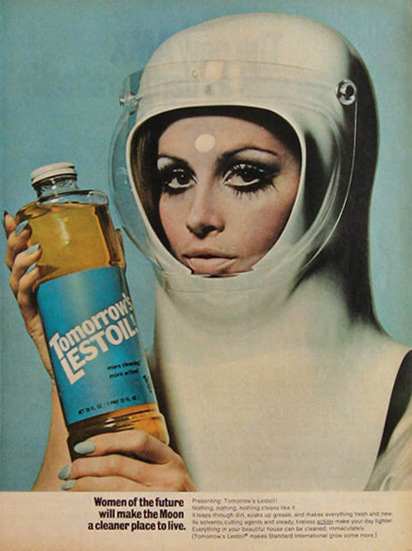 In the 1960s, spacefaring was seen as the future, and everyone wanted to be in on the game whether their product had anything to do with space or not. Addressing this problem is not easy. The spaceflight industry is filled with lobbyists, who largely focus their attention on politicians and bureaucrats. At some point, strategies and scope will need to broaden and change. The reputation of spaceflight as a whole could be challenged in the future. This would be bad at any time, but right now, it’s even more potentially serious. Spaceflight has enough problems already without suffering damage to its reputation. Gaining notoriety could make spaceflight an even softer target for budget cutbacks, or legislation that impedes its development. In the 1960s, being affiliated with spaceflight was highly prestigious. Companies that had even the slightest connection to space would proudly advertise this in their promotions. Since then, spaceflight has lost much of its popular appeal. If current trends continue, being a part of the spaceflight scene could soon bring slight overtones of notoriety. This could influence the flow of money, both public and private. This could stifle some legitimate projects. This could prompt more good people to leave the industry. Reputation management is an essential part of preserving the continuity of spaceflight. It must be nurtured carefully before any more serious damage is done. Opinions expressed are those of the author and do not necessarily reflect the views of Space Safety Magazine or its sponsors. I think you have hit upon an important truth here, Morris. The more PR puffery hot air I hear the less actual solid activity I see.